Garr told Roppolo he didn’t see anything in the footage and made some suggestions for how he could improve his filmmaking, but didn’t really anticipate getting involved in the project. Yet as Garr continued to received new footage from Roppolo, some of it featuring himself, he was eventually persuaded to meet with Roppolo in Los Angeles to discuss his UFO sightings. It’s their experiences together that make up the footage of Gaar’s latest film, Curse of the Man Who Sees UFOs, which was released on Tuesday. Roppolo’s troubled past really began when his dad was killed in a drunk driving accident while Roppolo was working his way through culinary school. His father was the only person Roppolo ever felt close to in his family and was the person who had originally sparked his passion for filmmaking when he took Roppolo to see the Godfather in theatres. The film was decently well received, but shortly after its release Roppolo learned that his brother had stolen $129,000 from his bank account and disappeared. Amazingly, this would soon turn out to be just the tip of the iceberg on Roppolo’s downward slide. After a series of increasingly tragic events, Roppolo’s life was a mere fragment of what it had been only a decade before—and that’s when the UFOs really started showing themselves to him. 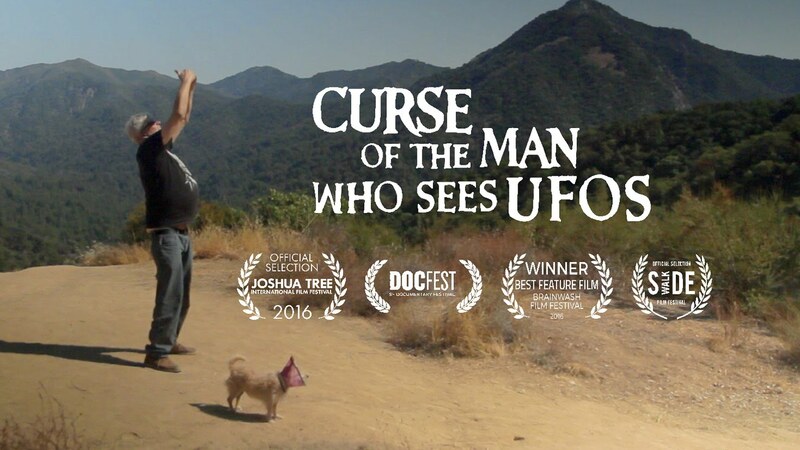 After everything’s said and done, Curse of the Man Who Sees UFOs is a documentary that is less about unidentified flying objects than the man who spends his nights looking up at the cosmos. Remarkable for the depth of its comedy and tragedy, it is one of the most poignant documentaries to be released this year. Although Gaar remains a skeptic about UFOs and leaves the legitimacy of the sightings up to the viewer to decide, for Roppolo there was never an option not to believe. Curse of the Man Who Sees UFOs is available on DVD and iTunes and Amazon Video.